Aaron H. Stulman focuses his practice on all aspects of corporate restructuring, creditors’ rights, and other insolvency-related matters. He regularly represents debtors, official committees, ad hoc committees, asset purchasers, individual creditors, court-appointed trustees, and other significant stakeholders in chapter 11, chapter 7, and chapter 15 bankruptcy proceedings before the United States Bankruptcy Court for the District of Delaware. He also has extensive experience litigating in bankruptcy court, including prosecuting, defending, and mediating avoidance actions under chapter 5 of the Bankruptcy Code. 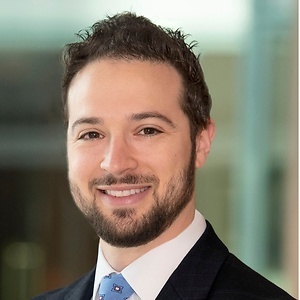 Before joining private practice, he served a one-year term as law clerk for the Honorable Brendan Linehan Shannon, United States Bankruptcy Judge for the District of Delaware. During law school, he had the privilege of interning with the Honorable Mary F. Walrath of the Delaware Bankruptcy Court as well as then-Vice Chancellor Donald F. Parsons, Jr. of Delaware’s Court of Chancery. He also served as managing editor for the Delaware Journal of Corporate Law.